Talk Moves- What are They? Talk Moves are an agreed set of sign language which we utilise across our entire school, from classrooms, to the yard, to staff meetings. We communicate using talk moves; every day in every way. Talk Moves are based upon dialogic teaching, which basically means that optimised learning occurs through active dialogue. In a school setting, Talk Moves provide each learner the chance to respectfully contribute their thoughts to discussions. 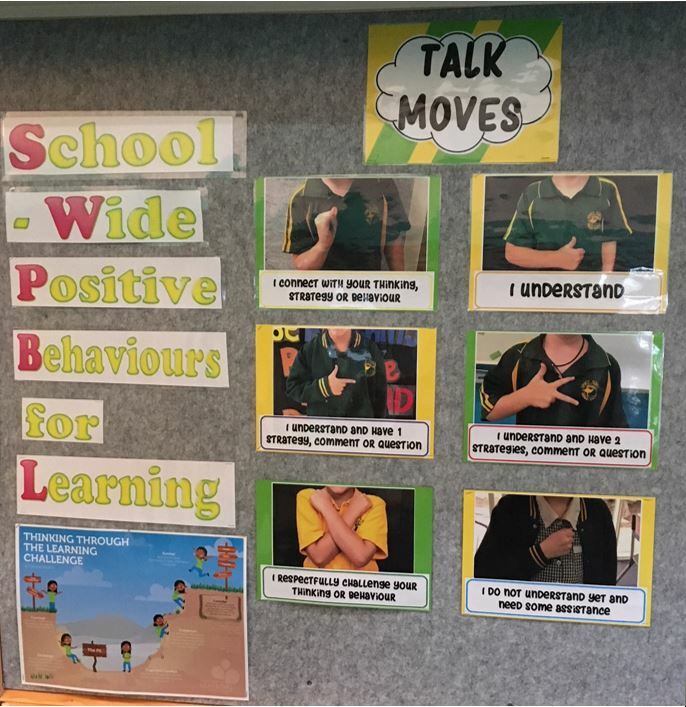 Talk Moves are a practical application of our school values in action; Respect, Responsibility and Resilience.